To me, they all are. 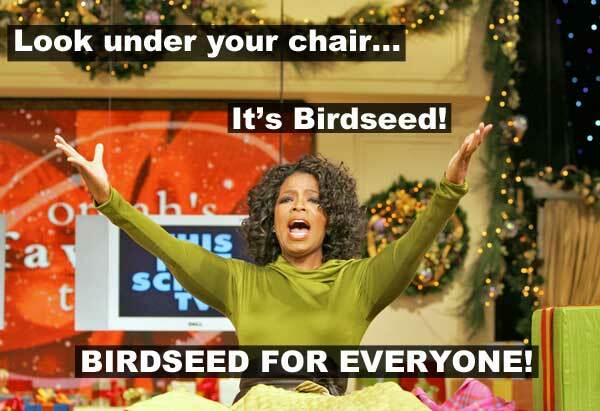 Cardinals are my favorite, but I love the jays and mockingbirds and finches and chickadees and sparrows. We have doves, robins, starlings, and the occasional hawk. I love those too, along with the catbirds, ravens, scissortails, and woodpeckers. They brighten up the yard and my day with their birdly songs and activity. They also make an infernal mess. Because I knew diddly-squat about providing for wild birds, most of our feeders consist of a roofed platform with perches that keep the squirrels out while letting the birds eat. These feeders have the unintended consequence of allowing the birds to be picky about their seed choices. When they’re picky, they fight over perches and fling the unwanted bits far and wide. At first, finches spent the most time on the perches while sparrows acted as the Ground Crew and cleaned up below. Doves and cardinals helped, and all was lovely. Then the sparrows figured out they could eat from the feeders. They decided they were too good for the Ground Crew and left that duty to the doves and their loser friends who couldn’t hang with the seed-flinging crowd. Chaos ensued. Everyone got food! The sparrow population in our neighborhood exploded. Recent reading has informed me that this is A Bad Thing because they’re an invasive species, but… they’re so cute and chirpy. I don’t want to run them off completely even though I’d like a bit more diversity in the garden, so we’re going to phase out the platform feeders when they break. The new feeders will reduce flinging and hopefully bring in more finches and chickadees as the sparrows disperse. I have learned my lesson! Do your reading beforehand or you will end up like I did: with a legion of fat, mouthy, entitled little jerk-birds. Great post! 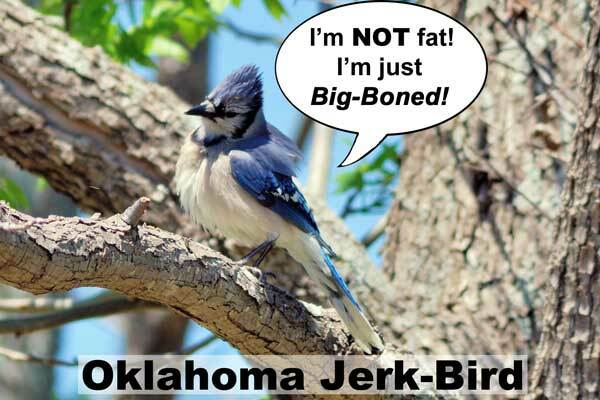 And a legion of fat, mouthy, entitled little jerk-birds… sounds a lot like congress! So good plan, take away their platform and maybe the loudest ones will go away.